The Tim Duncan legacy continues with these iconic “Blackout” Total Air Foamposite Max Black/Black-Anthracites. They are timeless and very durable and comfortable, therefore “recession-friendly”. So recognizing that many parts of the country will sell out instantly, the AF1King Shop is offering these on pre-order to help our fellow sneakerheads out. You will pay a premium over retail, however we are always fair with our pricing and only a phone call or email away to help with your orders. AF1King did great with the last Tim Duncan Release and earned the business of many new shoppers. Check our twitter feed for all the love we got. Head on over to pre-order your pair now or grab them after the jump. 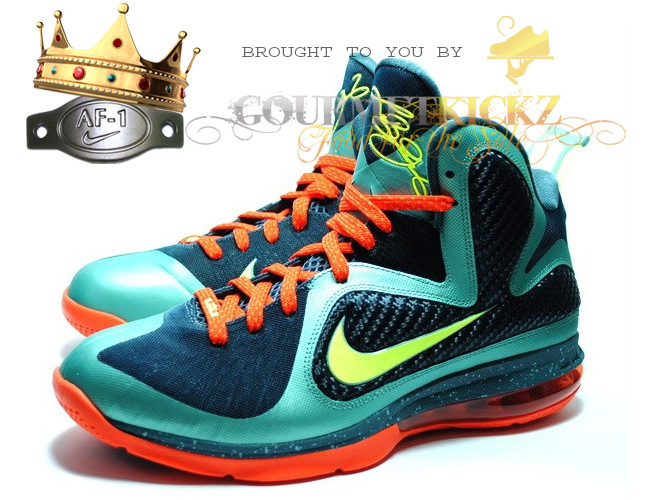 The LeBron 9 has a tough job ahead, with all the hype around astounding colorways of its predecessor, the LeBron 8, particularly the “South Beach” colorway which ignited the shoe to infernal proportions. In a change of tradition, the LeBron 9 premier colorway has been switched from the China edition to the Pre-Heat edition, making the LeBron 9’s debut even more challenging. Though not done in the previous filament green / pink colorway, this combo is still hot like Miami in the dead of summer. It actually pays tribute to the Air Force base where the Heat conducted some camp training, the Cannon Air Force Base. While these shoes have already released overseas in the AP Market, the Domestic Market won’t have to wait much longer. A limited release in the Miami Locale is upon us, while others will have to wait for a broader release on November 12th. If your time is valuable and you rather trust “Chef” to secure your pair, then head on over to the AF1King Online Shop and pre-order a pair or scroll down after the jump. 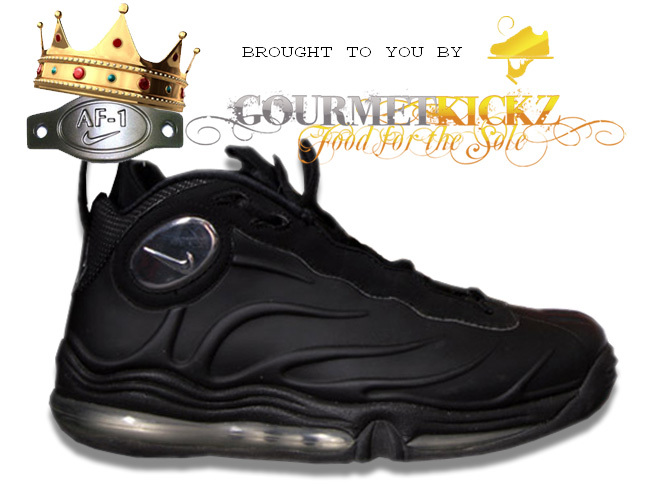 You will of course pay a premium for this guarantee, but consider it a small price to pay for peace of mind, best in class customer service, and a partnership with one of the biggest and longest running sneakerheads on the net Chef of GourmetKickz.